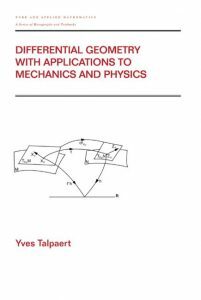 An introduction to differential geometry with applications to mechanics and physics. It covers topology and differential calculus in banach spaces; differentiable manifold and mapping submanifolds; tangent vector space; tangent bundle, vector field on manifold, Lie algebra structure, and one-parameter group of diffeomorphisms; exterior differential forms; Lie derivative and Lie algebra; n-form integration on n-manifold; Riemann geometry; and more. It includes 133 solved exercises.